You might have heard of the Eleven City skating tour (Elfstedentocht), the heroic 200 kilometre tour along the eleven Frisian cities. Maybe you remember the images of the last tour of 1997. But have you considered to get to know these Frisian cities from the inside? The Frisian cities all have a long and rich history. Our guides will gladly tell you all about it. 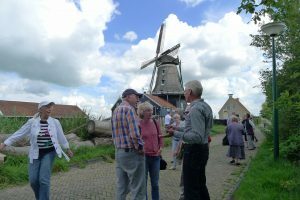 They know the cities inside out and will show you the most beautiful and characteristic spots of one or more of the Frisian eleven each cities. Something for you? Do ask about the possibilities. Call us or send the contact form.